Where there is one, there are more. Rodents are known for their prolific breeding. Rats reach sexual maturity at a young age (just a few months old) and have a short gestation period (less than one month). They can have over a dozen babies in each litter and can have multiple litters in their short lives. It doesn’t take long for one or two rats to become a full blown infestation. Getting rid of rats can be tricky. Setting ‘quick kill’ traps, glue boards, or even rat poison may get rid of some rats, but there will be other rats who don’t take the bait. Plus, someone must dispose of the rodents that get caught in traps, as well as any other animals that are unfortunate enough to cross a trap. Snakes, bugs, and even small kittens have all gotten caught on glue boards. Rat poison is not exclusive to rats either. Rodent poison is harmful to any animal that ingests it, as well as any animal that eats a rodent that has ingested it. Not to mention, none of these methods actually keep rats out, they just kill the ones that get in. After natural disasters, neighborhoods can become especially susceptible to infestations. 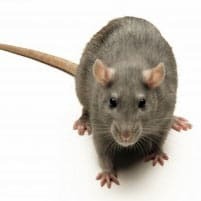 An entire area affected by Hurricane Katrina was left with abandoned or vacant homes and buildings is battling a neighborhood wide rat infestation. Similar problems have been reported in the wake of Hurricane Sandy in areas of New York, as well as in areas affected by wildfires in California. Repelling rats is safe and easy. Fresh Cab Botanical Rodent Repellent is highly effective. All you have to do when using for prevention is place one pouch for every 125 square feet and the scent lasts up to 90 days. For use in currently infested areas, increase use to one pouch per 8 square feet of floor space and replace every 30 days. Where there is one, there are more. Rodents are known for their prolific breeding. Rats reach sexual maturity at a young age (just a few months old) and have a short gestation period (less than one month). They can have over a dozen babies in each litter and can have multiple litters in their short lives. It doesn't take long for one or two rats to become a full blown infestation. Getting rid of rats can be tricky. 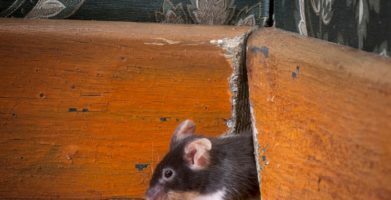 Setting 'quick kill' traps, glue boards, or even rat poison may get rid of some rats, but there will be other rats who don't take the bait. Plus, someone must dispose of the rodents that get caught in traps, as well as any other animals that are unfortunate enough to cross a trap. Snakes, bugs, and even small kittens have all gotten caught on glue boards. Rat poison is not exclusive to rats either. 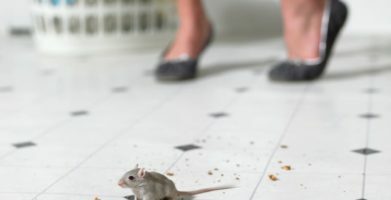 Rodent poison is harmful to any animal that ingests it, as well as any animal that eats a rodent that has ingested it. Not to mention, none of these methods actually keep rats out, they just kill the ones that get in. After natural disasters, neighborhoods can become especially susceptible to infestations. An entire area affected by Hurricane Katrina was left with abandoned or vacant homes and buildings is battling a neighborhood wide rat infestation. 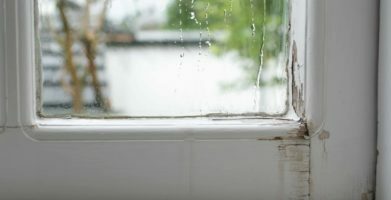 Similar problems have been reported in the wake of Hurricane Sandy in areas of New York, as well as in areas affected by wildfires in California. Repelling rats is safe and easy. Fresh Cab Botanical Rodent Repellent is highly effective. All you have to do when using for prevention is place one pouch for every 125 square feet and the scent lasts up to 90 days. For use in currently infested areas, increase use to one pouch per 8 square feet of floor space and replace every 30 days. string(45) "What to do When Rats Infest Your Neighborhood"